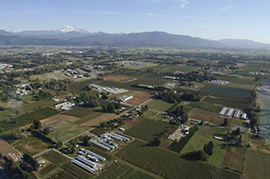 VICTORIA – A second round of changes to the Agricultural Land Commission is in the works that will eliminate the system of six regional panels the BC Liberals established in 2002. 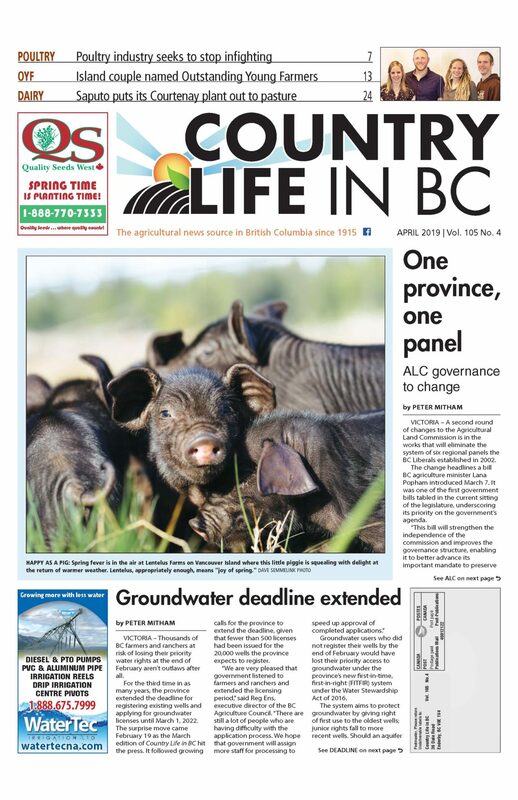 The change headlines a bill BC agriculture minister Lana Popham introduced March 7. It was one of the first government bills tabled in the current sitting of the legislature, underscoring its priority on the government’s agenda. “This bill will strengthen the independence of the commission and improves the governance structure, enabling it to better advance its important mandate to preserve farmland and encourage farming and ranching in the Agricultural Land Reserve,” Popham told the legislature as she introduced the bill. Bill 15 proposes five key changes, the primary one being elimination of the existing executive committee and six regional panels. They’ll be replaced by a single committee with membership from each of the commission’s six administrative regions. This didn’t sit well with BC Liberal agriculture critic Ian Paton, a former Delta councillor who represents Delta South in the legislature. “Doing away with these panels would undermine local decision-making and knowledge of the land. It could mean that a commissioner on the Lower Mainland ends up making decisions for the rest of the province without knowing the unique conditions and circumstances of each region,” Paton said at the time. Yet panels aren’t disappearing entirely. The new legislation enables the commission’s chair to strike panels on an as-needed basis to address specific applications. The bill also charges the commission to prioritize “the protection and enhancement of the size, integrity and continuity of the land base” in considering any application. The change reflects concerns about the high parcelization of ALR properties that makes them vulnerable to residential development and exclusion, particularly in the Lower Mainland. The bill says exclusion applications must now come from local governments, First Nations or the province in order to limit speculation. Right now, landowners submit applications with the endorsement of local government. Without government endorsement, the applications have no chance. Yet local governments themselves can have a hard time excluding properties, as the experience of Abbotsford with respect to properties in the Bradner area shows. It halted all initiatives on its farm properties last year pending the outcome of the advisory panel’s work. The move to limit exclusions to governments angers MLAs such as Donna Barnett, who believes the move infringes on the rights of landowners. Rather than making application directly to the land commission, they’re now required to delegate matters to government. The bill will also impact landowners by threatening to fine property owners who do not provide information the ALC requests. The specific penalties will be established by regulation. Bill 15 was set for second reading on March 25. The discussion will likely see the airing of the many concerns MLAs have voiced in the media and heard from constituents. Discussions will also take place during committee hearings on the bill.